Big announcement! . New single “Ha’aheo Nā Kanaka Paniolo” coming this Friday on all major streaming services. . This song is a minor key jaunt through upcountry Waimea celebrating the lonesome paniolo (Hawaiian Cowboy) as he “rides through the pastures as an ocean”. . You can pre-save to your Spotify library by using the link in my bio and clicking the big green button. I continue to be filed with a mix of shock, gratitude, and awe that we were able to make this happen! This was such a new experience for me and I am so grateful for everyone's contributions towards my new album project! . So now the real work begins! . a.) Get surveys out to all pledgers so I can get contact and shipping details squared away in order to get you your rewards b.) Meet with my graphic designer to finalize the template for the CD packaging and place oder with disc manufacturer c.) Take photos for promotional materials d.) Make decisions on final logo design elements and send to t-shirt/sticker maker to begin printing e.) Purchase shipping and packaging materials to prepare for shipping out rewards f.) Submit single for digital distribution to major streaming sites; Spotify, Apple Music, Amazon etc... g.) Begin online campaign to promote single in preparation for album release h.) Design press material for album release in June i.) Sending what everyone pledged for! j.) Release album to public and online streaming networks . Mahalo again from the bottom of my heart for everyone's support! Ahhh the iconic palaka shirt. It represents such a big part of the story of the people of Hawaii. While the Aloha shirt gets all the notoriety, for me the palaka is the "real Hawaiian shirt". . In song writing I often look for those untold stories. I look for those gaps in our shared history that need telling. And one of these was the palaka shirt. . Growing up in Waimea it was just one of those things that you see around and don't think much of it. 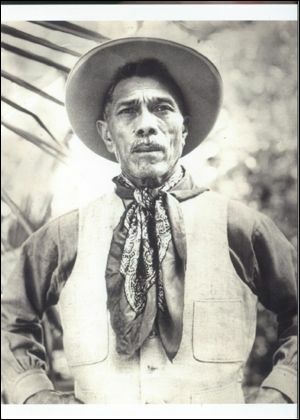 But as I dug deeper I learned about its role in early plantation life, the Japanese influence, the Parker Ranch cowboys, the Sons of Hawai'i, and so much more. And I realized, there's so much here, and there needs to be a song celebrating this humble fabric. . My own personal connection with the palaka shirt really started when I met Braddah Smitty and he invited me to join him for his private gigs around the island. His first invite went something like, "eh you get palaka?". That always stuck with me. Such a simple question that carried so much weight. . Because Smitty had played with the Sons of Hawai'i, the palaka was a true marker of his lineage. This shirt, having been adopted by Eddie Kamae, Gabby Pahinui, and all the others that played with the Sons, is an indicator that you are playing from that pedigree. . So today when I wear my palaka shirt, I do so humbly. It connects me to all these great musicians, all these great song writers, and even more all those plantation and ranch workers from the time ago. . One of my favorite songs from my upcoming album "Song for Waimea" is "Got Palaka?". It's a backyard kanikapila style jam with 12-string guitar, lap steel, 'ukulele, and a driving bass in the style of Joe Marshall from the Sons. It tells the story of the palaka shirt and talks about it as being part of our shared history as the people of Hawaii. . You can hear this song and more by helping to bring this album to life by being part of my Kickstarter campaign. This is an all or nothing campaign and I only have 5 more days to go to reach my goal! Every little bit helps. Check it out in my bio. Within the genre of Hawaiian song composition are songs called "mele pana". These are songs that honor a place special to the composer. For my upcoming album "Song for Waimea" I composed three "male pana". One song is about "'Ohai'ula" also known as Spencer Beach. When my family first arrived on Hawaii Island we stayed at 'Ohai'ula for about 4 weeks. At that time there were a number of families that called 'Ohai'ula home. At the young age of 5, full of curiosity and wonder, I would spend my days walking along the shoreline, exploring the rocky enclaves, and venturing to Pu'u Kohola. This was my introduction to this land that I would soon call home. We eventually moved to Kealakekua where I spent my early years in a coffee shack, but I always remember "Ohai'ula as being my "original home". . 'Ohai'ula has a special role within the ahupua'a of 'Ouli. It is on the boarder of 'Ouli and Kawaihae. It is where Wai'ula'ula meets the sea. It also sits at the feet of mighty Pu'u Kohola Heiau. . My simple mele was set to a hula tempo. It speaks of the aloha of the people and the mana of the place. It is about feeling at home. Connecting to a special place that centers you and brings you back to what is meaningful and important. Anytime I need to reset, I go down to 'Ohai'ula. I walk the shoreline to Pelekane. I sit quietly at the base of the heiau. I head towards Mau'umae Beach and sit at that magical place where Wai'ula'ula reaches the ocean. . From the mountain to the ocean, Waimea is more than a cowboy town in the hills. Connected by land and water to the shore, Waimea is a small moku within the moku of 'Ouli, within the moku of Kohala, within the moku of Keawe. I am grateful for these connections, and grateful for the things these lands of aloha have shown me. . I humbly ask for your support in helping bring this album to completion. I have seven more days to get this funded. It is all or nothing, so if I don't reach my goal I cannot access the funds people have already pledged. Every pledge helps, but there are some awesome rewards available if you would like to pre-order an album of pick up some merch. . Aloha. . Link in my bio. I just recently discovered some awesome pieces of historical information on the fascinating blog http://nupepa-hawaii.com/. If you are interested in Hawaiian history or the Hawaiian language, I suggest you click on the above link and follow this blog that digitizes and translates Hawaiian newspapers from the past. In researching the Frontier Days rodeo competition from 1908 in Cheyenne, Wyoming where Ikua Purdy won first place in the steer roping competition I found this account from the Hawaiian Star newspaper. The account is historically important as it recounts the progression of the events surrounding the competition. These details help take you into the moment and the intensity of the moment for Ikua Purdy. I also found it interesting how the writer of the article spun the story to mention that while the Hawaiians had “taken away” the championship from the Americans, Hawaii is actually a territory of the United States so therefore part of and continuing the history of the cowboy in America. Read for yourself and tell me what you think in the comment section below.